When it comes to profitability in healthcare, billing is only one part of the big picture. There are steps any radiology practice must take in order to ensure financial success. Effective revenue cycle management is key to profitability and financial health. ___ Take pains to be sure that all coding is correct. ___ Be up-to-date on coding practices - especially with the mandatory change to ICD-10. ___ Have all studies and dictated reports read by a certified coder to catch potential mistakes and optimize coding. ___ Submit claims in a timely manner. ___ Be sure all claims are clean - have been scrubbed - and are complete. ___ Assure accurate encounter documentation. ___ Periodically review coding to ensure correctness - highest level of reimbursement appropriate to the level of care provided. ___ Perform regular audits, including random claim samples. ___ Encourage strong communication throughout the organization to clear up confusion or concerns promptly. 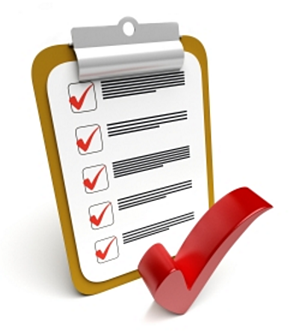 ___ Periodically review the claims submission process with an eye to improving efficiency. ___ Invite a trusted colleague to review the process to look for ways to streamline it. ___ Promote a culture of openness so staff feel comfortable suggesting improvements. ___ Compile an effective accounts receivable team for management and collection of outstanding balances. ___ Oversee this accounts receivable team to ensure nothing falls through the cracks. ___ Implement proper claims denial measures are in place and periodically review their use. ___ Create a reporting structure to stay updated on accounts receivable issues. ___ Compile a team to review and collect unpaid balances from patients as well as unpaid claims. ___ Create a list of patients with unpaid balances for the receptionist to refer to when scheduling appointments. The receptionist can then ask the patient if they need help in satisfying their obligation. ___ Pursue smaller balances as ardently as the larger balances. ___ Utilize software systems which alert the team to pertinent information regarding outstanding balances. There must be an aggressive management, tracking, and reporting structure in place for optimal, profitable radiology biling. It is key that best practices are adhered to in every stage of the revenue cycle and billing process. When this is the case, increased efficiency and profitability will follow.